The filters are necessary for high pressure airless paint spray equipment, because there is some dirty / grains / small particles or dried paint not cleaned thoroughly in previous spraying jobs. There’re 4 different color filters with different mesh for different paint material. Below are common FAQs about airless spray gun filters. FAQ 01: How often do airless paint spray guns filters need to be replaced? is in the paint and the mesh size of the filter. The filter meshes are made of stainless steel mesh to eliminate rust. So you almost never replace them due to what you would consider wearing out. pin-hole will allow trash to pass through and thus constantly clog your paint spray tip. FAQ 02: How often do the airless spray gun filters need to be cleaned? A. Normally every time the sprayer is cleaned is all that is needed. Exceptions would be as below. 1. Your paint has an unusually high amount of “trash” or small grains. need to clean the airless sprayer gun filter during a spray job. you may need to clean the filter every 2 to 5 gallons. so normally we recommend you to change to bigger nozzle size (like 517 515) and use smaller mesh (bigger hole) filter (like 60mesh 80mesh) to prevent clogging frequently. (or replaced if in a hurry) is the reversible paint spray tip starts to constantly clog. FAQ 03:What would happen if you used the wrong filter for the tip? A. Using a larger mesh filter with too small of a tip would result in constant airless spray tip clogs. FAQ 04:Should i remove the filter if I spray putty? yes, we recommend you to remove the spray gun filter (or even the pump manifold filter) when you spray the putty or plaster. but it’s necessary to filtering the material before spraying, if you mix the powder with water by the mixer. because there’s maybe some powder which are not mixed totally. the powder will clog the spray gun tip easily. 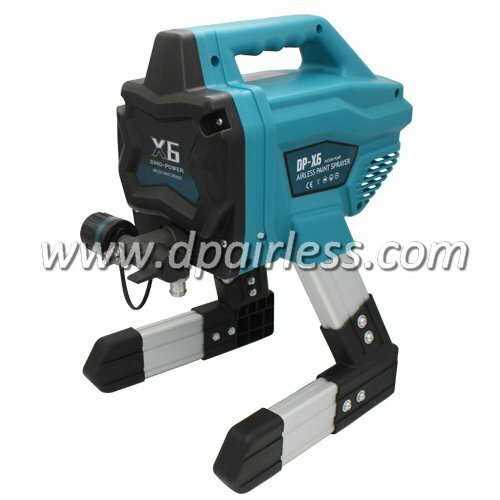 welcome to visit our web site for full range of our airless paint sprayers, airless spray guns and gun filters. Airless Sprayers or HVLP Sprayers – What’s the Difference?